• Google Faculty Research Award 2018. • Program committee member for USENIX NSDI 2020. • Invited talk at ITA 2019. • Invited attendee at Microsoft Systems Faculty Summit 2018. • Facebook Communications and Networking Research Award 2018. • Program committee member for USENIX OSDI 2018. • DART used in Top 5 WSDM 2018 Music Recommendation Challenge winner. • Program committee member for SysML 2018. • Joined CMU CSD as an assistant professor. • Talk at Stanford Information Theory Forum. • 'EC-Cache' accepted at USENIX OSDI 2016. • Received Eli Jury Award 2016 for best thesis in the area of Systems, Communications, Control, or Signal Processing at EECS, UC Berkeley. • 'Piggybacking framework' accepted to IEEE Transactions on Information Theory. • 'Sparsifying storage codes for fast encoding' accepted at IEEE ISIT 2016. • Invited talk at ITA Graduation Day 2016. • Invited talk at Allerton 2015. • Awarded Google Anita Borg Memorial Scholarsihp 2015. • 'Distributed secret sharing' accepted to IEEE Journal of Selected Topics in Signal Processing. • 'Reducing I/O cost in distributed storage codes' at USENIX FAST 2015. Chosen as the best paper of USENIX FAST 2015 by StorageMojo. I am an Assistant Professor in the Computer Science Department at Carnegie Mellon University, with a courtesy appointment in the ECE department. I lead the TheSys research group at CMU, and also a part of the Parallel Data Lab (PDL). My research interests lie in the broad area of computer and networked systems with a current focus on reliability, availability, scalability, and performance challenges in data storage and caching systems, in systems for machine learning and in live video streaming. Storage/caching: My research focus here has been on fault tolerance, scalability, load balancing, and reducing latency in large-scale distributed data storage and caching systems. We designed coding theory based solutions that we showed are provably optimal. We also built systems and evaluated them on Facebook's data-analytics cluster and on Amazon EC2 showing significant benefits over the state-of-the-art. Our solutions are now a part of Apache Hadoop 3.0 and are also being considered by several companies such as NetApp and Cisco. Machine learning: My research focus here has been on the generalization performance of a class of learning algorithms that are widely used for ranking. We designed an algorithm building on top of Multiple Additive Regression Trees, and through empirical evaluation on real-world datasets showed significant improvement over classification, regression, and ranking tasks. The new algorithm that we proposed is now deployed in production in Microsoft's data-analysis toolbox which powers the Azure Machine Learning product. My research group is called "TheSys (Theory + Systems)" since we take a principled and holistic approach towards solving real-world problems considering both theoretical and systems perspectives. We design solutions rooted in fundamental theory as well as build systems that employ the resulting insights and solutions to advance the state-of-the-art. Here is our group's Github. I am fortunate to be advising and working with the following amazing students at CMU. "Learning a Code: Machine Learning for Approximate Non-Linear Coded Computation"
Available on arXiv, June 2018. "Cluster storage systems gotta have HeART: improving storage efficiency by exploiting disk-reliability heterogeneity"
"Streaming Codes for Variable-Size Arrivals"
Allerton Conference on Communication, Control, and Computing, 2018. "EC-Cache: Load-Balanced, Low-Latency Cluster Caching with Online Erasure Coding"
"Optimal Systematic Distributed Storage Codes with Fast Encoding"
IEEE International Symposium on Information Theory (ISIT), 2016. "Having Your Cake and Eating It Too: Jointly Optimal Erasure Codes for I/O, Storage, and Network-bandwidth"
"DART: Dropouts meet Multiple Additive Regression Trees"
International Conference on Artificial Intelligence and Statistics (AISTATS), Feb 2015. "One Extra Bit of Download Ensures Perfectly Private Information Retrieval"
IEEE International Symposium on Information Theory (ISIT), 2014. "Fundamental Limits on Communication for Oblivious Updates in Storage Networks"
"A Piggybacking Design Framework for Read-and Download-efficient Distributed Storage Codes"
IEEE International Symposium on Information Theory (ISIT), July 2013. "Secure network coding for distributed secret sharing with low communication cost"
"Regenerating Codes for Errors and Erasures in Distributed Storage"
IEEE International Symposium on Information Theory (ISIT), July 2012. "Information-theoretically Secure Regenerating Codes for Distributed Storage"
IEEE Globecom, Houston, Dec. 2011. "Enabling Node Repair in Any Erasure Code for Distributed Storage"
IEEE International Symposium on Information Theory (ISIT), St. Petersburg, 2011. "A Flexible Class of Regenerating Codes for Distributed Storage"
IEEE International Symposium on Information Theory (ISIT), Austin, June 2010. "Explicit and Optimal Exact-Regenerating Codes for the Minimum-Bandwidth Point in Distributed Storage"
"Explicit Codes Minimizing Repair Bandwidth for Distributed Storage"
IEEE Information Theory Workshop (ITW), Cairo, Jan.2010. "Explicit Construction of Optimal Exact Regenerating Codes for Distributed Storage"
"A Solution to the Network Challenges of Data Recovery in Erasure-coded Distributed Storage Systems: A Study on the Facebook Warehouse Cluster"
"Information-theoretically Secure Erasure Codes for Distributed Storage"
IEEE Transactions on Information Theory, Mar. 2018. IEEE Transactions on Information Theory, Sept. 2017. "Distributed Secret Dissemination Across a Network"
IEEE Journal of Selected Topics in Signal Processing, October 2015. "Optimal Exact-Regenerating Codes for Distributed Storage at the MSR and MBR Points via a Product-Matrix Construction"
"Distributed Storage Codes with Repair-by-Transfer and Non-achievability of Interior Points on the Storage-Bandwidth Tradeoff"
"Interference Alignment in Regenerating Codes for Distributed Storage: Necessity and Code Constructions"
Rashmi K. Vinayak is an assistant professor in the Computer Science department at Carnegie Mellon University. She recieved her PhD in the EECS department at UC Berkeley in 2016, and was a postdoctoral researcher at AMPLab/RISELab and BLISS. 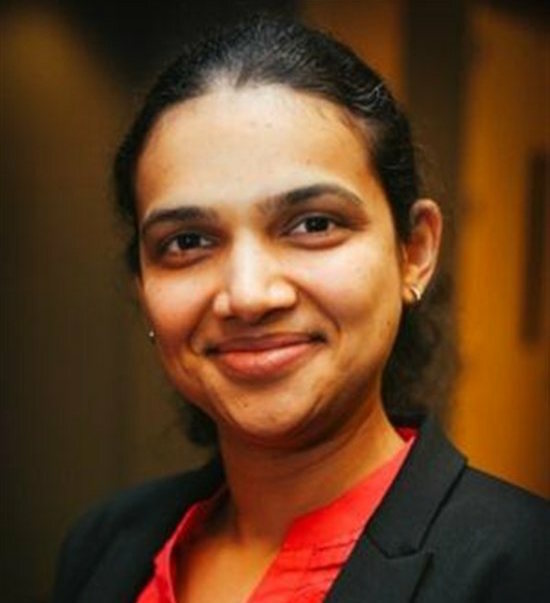 Her dissertation received the Eli Jury Award 2016 from the EECS department at UC Berkeley for outstanding achievement in the area of systems, communications, control, or signal processing. Rashmi is the recipient of the IEEE Data Storage Best Paper and Best Student Paper Awards for the years 2011/2012. She is also a recipient of the Facebook Fellowship 2012-13, the Microsoft Research PhD Fellowship 2013-15, and the Google Anita Borg Memorial Scholarship 2015-16. Her research interests lie broadly in the area of computer and networked systems with a current focus on addressing reliability, availability, scalability, and performance challenges in data-storage-and-analytics systems and live video streaming based on theoretical foundations.